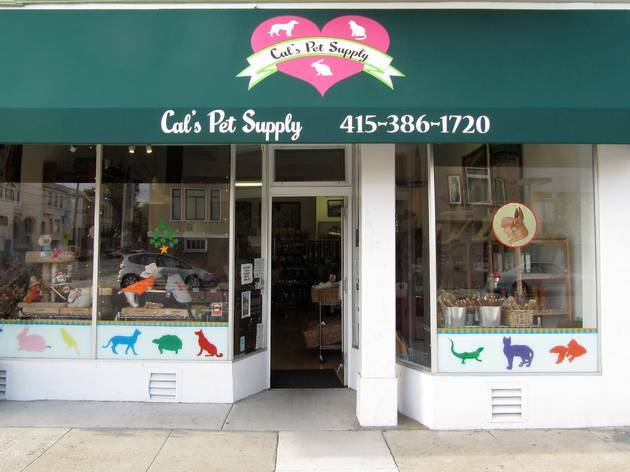 Cal’s Pet Supply is tucked into a quiet stretch of Outer Richmond; the shop’s quaint, friendly atmosphere is befitting a 30-year-old neighborhood staple. Antlers, bully sticks, and other natural chew toys are displayed in wicker baskets, and clothing and toys for dogs and cats are laid out to best catch the store’s bright natural light. 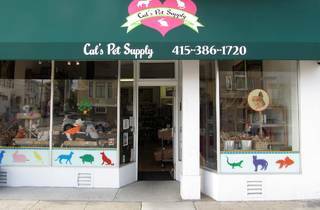 Additionally, Cal’s offers bulk birdseed, a variety of fish foods, and, for the adventurous, cans of dried crickets for birds and reptiles. The best buy here might be the Pet Odor Exterminator candles, which are enzyme formulated to remove even the most persistent odors, replacing them with sweet scents such as strawberry and lavender-chamomile. Cal’s prices are competitive, and the service is top-notch. Stop by the counter for a treat for your pet and a lollipop for yourself.